Just north of London, Hertfordshire is green and leafy and dotted with lovely little towns and villages. Many of the best places to stay in Hertfordshire are wonderful old manor houses and stately homes, now converted to offer weekends in the country and mini break escapes. Hatfield House, the majestic childhood home of Queen Elizabeth I with beautifully manicured gardens and tours of the rooms available all for making a memorable experience. The remaining section of a Roman Wall in the lovely town of St Albans providing a snapshot of history in Britain all those years ago. Pay a visit to the majestic St Albans Cathedral - a truly vast spectacle. Equally impressive inside as out with huge columns rising to the skies. Bring the alps to you with a visit to the one of the UK's largest indoor ski centres located in Milton Keynes. There's two lifts and a beginners and main slope ensuring everyone can join in. Visit Hemel Hempstead for the Grand Union Canal, providing lovely walking routes along this historic waterway. Our pick of the best places to stay in Hertfordshire include something to suit all visitors, from quaint B&B's to majestic manor houses. Just outside of St. Albans, Sopwell House is a wonderfully elegant Georgian country house which has been beautifully restored. Some of the 130 rooms have four poster beds and balconies and there’s an extensive spa and a fine dining restaurant. The Grove is another converted manor house, though this time it’s surrounded by 300 acres of its own land. On which there’s tennis courts, a golf course, a pool and spa and many other luxury activities. There are 190 rooms and four restaurants! Fantastically located, Number One Port Hill is a small multi-award winning B&B set in a picturesque part of Hertfordshire. Filled with well placed ornaments and antiques the property has an air of opulence. The wonderfully welcoming Annie serves up fantastic breakfasts and is more than willing to share her knowledge of the region. If you'd prefer a self-catering option, don't hesitate to visit our online partner Booking.com for a range of properties ideal for exploring the region. Fly to London Luton Airport located 19km (11.7 miles) from St Albans. The airport caters to various destinations across the UK and Europe. Hertfordshire is also well connected by rail links to London and further afield. Best time to visit - the summer months from June to early September provide the warmest weather for enjoying all the outdoor delights this county has to offer. 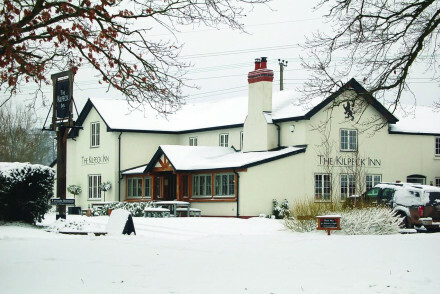 Tucked into the rolling Herefordshire countryside, The Kilpeck Inn is a charming contemporary guesthouse. One of the inn's big selling points is the excellent food served in the restaurant. Local exploring - A great base from which to explore the Herefordshire and Wales borderlands. Sights nearby - The surrounding marchland is full of castles such as Grosmont Castle, Longtown Castle and Skenfrith Castle. 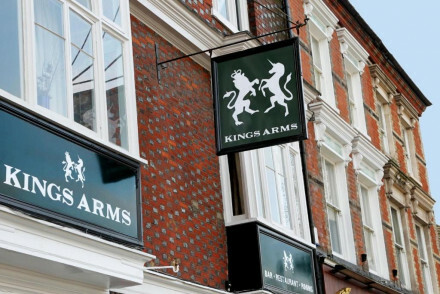 A chic pub with rooms in the heart of historic market town, Berkhamsted. Light and airy rooms boast high ceilings, white-washed walls, crisp white linen and the odd exposed beam. Mediterranean styled dishes come in pleasingly large portions in the restaurant. Ideal for weekend escapes from London. Local exploring - Perfectly located in the heart of the vibrant town of Berkhamsted, ideal for exploring the town and its surrounding countryside. Great walks - Take scenic strolls along the pretty tow path running besides the Grand Union Canal. Sights nearby - Discover the ruins of Berkhamsted Castle. 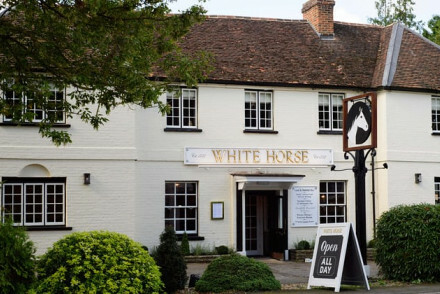 Set near the historic village of Hertingfordbury, The White Horse offers a bustling pub and excellent restaurant. The seven room inn has doubles and twins dressed in a tropical-meets-Africa theme and function rooms for special occasions. All just 45-minutes from London. Built in 1603, this elegant Georgian country house has been beautifully restored. 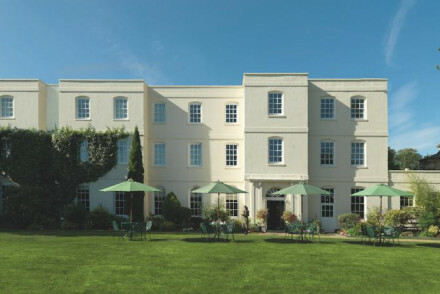 Tucked away in scenic surroundings, the hotel offers contemporary rooms, some with balcony & four posters, an indoor pool and extensive spa, plus fine dining or a more relaxed brasserie. 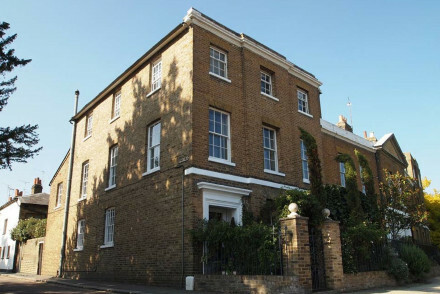 A small multi-award winning B&B set in a picturesque part of Hertfordshire. Filled with well placed ornaments and antiques the property has an air of opulence. The wonderfully welcoming Annie serves up fantastic breakfasts and is more than willing to share her knowledge of the region. Country Escape - A boutique country property with a warm welcome and great location. Sights nearby - Take a tour of Hatfield House, home of the 7th Marquess and Marchioness of Salisbury. 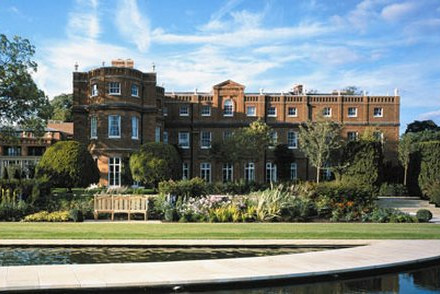 Five-star hotel set in 300 acres of Hertfordshire countryside. With tennis courts, outdoor swimming pool, golf course, spa, and many other luxury activities, this is a higher class of retreat. Four restaurants with over seventy chefs mean that its culinary offerings match the accommodation.